Rencontre de rythmes anciens et d’idées d’avant-garde exprimées dans une explosion de guitare staccato, de flûte envoûtante, de chant langoureux et de zapateado percussif qui batteront au rythme de vos coeurs. FIN DE FIESTA brings Spanish inspiration to North American soil. We are a professional touring ensemble of Canadian and international flamenco artists that divide our time between North America and Seville, Spain. 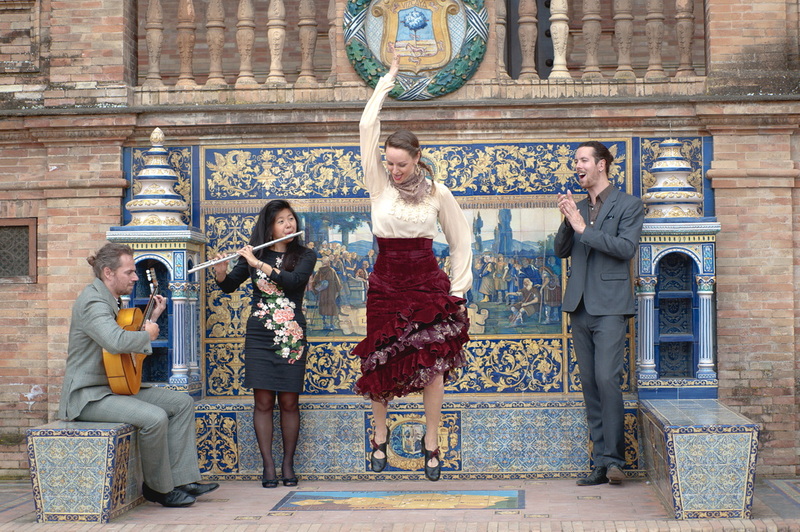 The name FIN DE FIESTA translates to "End of the Party", a reference to the open jam session that occurs at the end of a traditional flamenco show in Spain. It is during the fin de fiesta that the true improvisational and spirited nature of flamenco shows itself, and it is that lively spirit -- unpredictable and unrestrained -- that inspires our work. 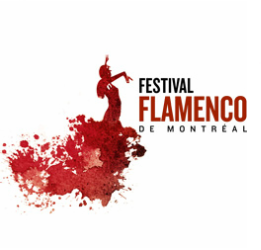 FIN DE FIESTA is lead by artistic director and dancer Lia Grainger and accompanied by guitarist Dennis Duffin, flautist Lara Wong, and wide range of talented guest artists from around the world. Boasting a company of acclaimed international flamenco musicians and starring esteemed Canadian flamenco dancer and choreographer Lia Grainger, AUDACIA takes audiences on a thrilling journey, from flamenco's traditional roots in the music and culture of southern Spain, all the way to its contemporary forms. Ancient rhythms meet avant-garde ideas and converge in an explosion of staccato guitar, haunting flute and percussive footwork. To the south of Spain and back again, AUDACIA will leave you breathless, with the pulsing rhythms of flamenco beating in your heart.